Pulse toothbrushes can be available in different kinds. They actually come with similar features in addition to common characteristics, which can be quite a problem when you are choosing this kind of toothbrush. That’s why we have chosen the Digoo DG-YS33 pulse toothbrush for you. This toothbrush distinguishes itself from the other toothbrushes with its modern design and quality features. Let’s make a detailed review of Digoo toothbrush for you! 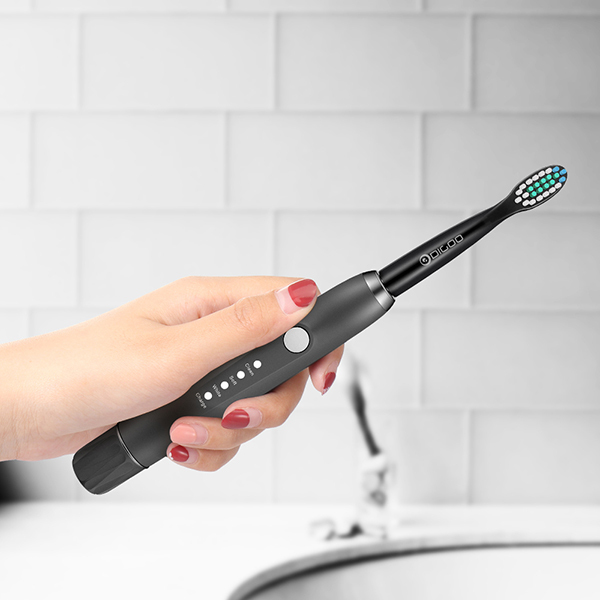 Digoo toothbrush can actually come in tow colors including black and white! With a modern design look, it attracts me a lot. When I use Digoo brush, I feel it is quite comfortable to use because it only weighs 60 grams, which isn’t a great deal of load! So, you can also carry it when you go traveling because of its portability. 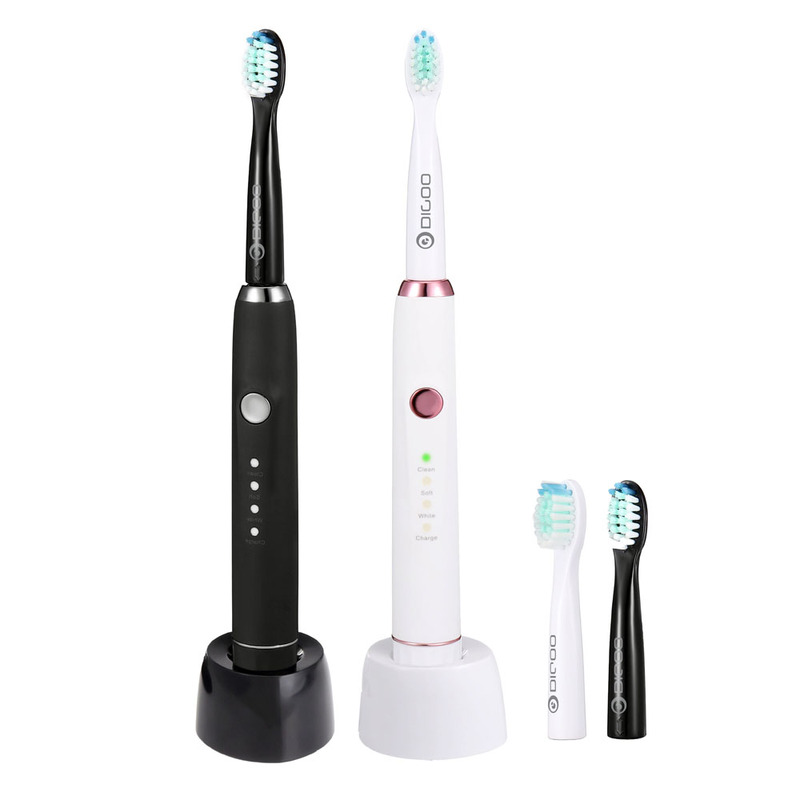 The Digoo super toothbrush is also rechargeable! Amazing, right? Have you ever imagine using a rechargeable toothbrush in your life? The Digoo DG-YS33 sonic pulse toothbrush has a wireless sensor charging base making it efficient and convenient for you to use. Coming with IPX7 waterproof design, it allows you to use safely. 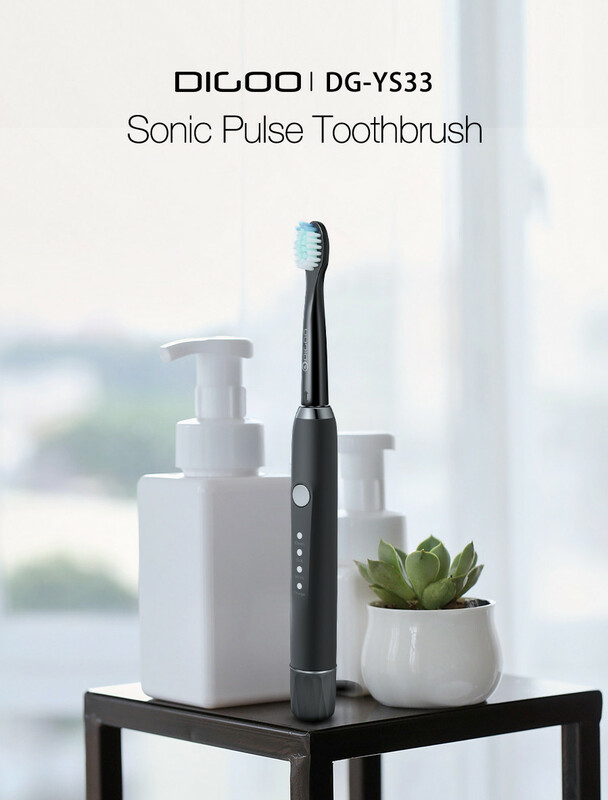 Digoo DG-YS33 sonic pulse toothbrush offers you with 3 choices, so you can choose depending on the kind you desire! You can get a clean, white or soft brushing! With a clean washing, the head of the brush is made to swing with just an increased frequency to remove the tarter and the bacteria in your teeth! You should note that this amazing toothbrush allows the highest frequency up to 28000 times per minute just fit to remove all the dirt in your teeth! You will need a soft brushing if you got issues with your gums and teeth, maybe it’s sensitive or has a gum disorder! The last design is just for the teeth which need s cleaning and polishing, your teeth will be just so good when it’s naturally white! Apply the white option for brushing! All this is made possible by just turning on the switch in the brush. It has all buttons for all modes including the charging mode. With Digoo you enjoy that frosted sense of touch when using your brush and you will just be comfortable during the process! Digoo DG-YS33 sonic toothbrush is one of the most amazing toothbrushes that you will really enjoy using for the sake of your teeth! Coming with a variety of advantages, it can provide you with the best brushing experience. It is affordable for most of us because it only cost US$19.9 on Banggood. How To Choose A Cake Stand?